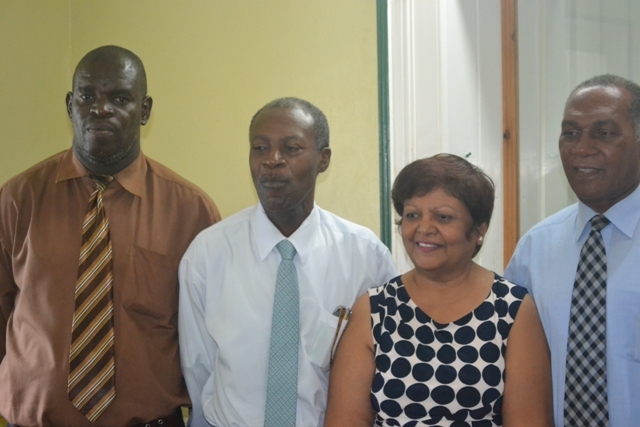 NIA CHARLESTOWN NEVIS (DECEMBER 02, 2015) European Union (EU) Consultants led by Dr. Lucy Steward in collaboration with the St. Kitts and Nevis Technical Vocational Educational Training (TVET) Council, have developed a National Qualifications Framework. 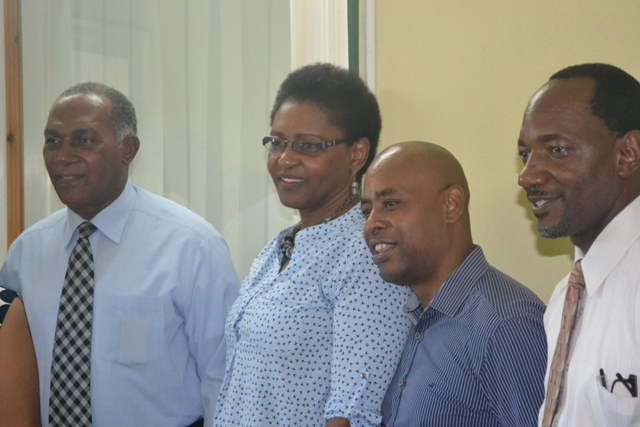 The announcement was made on November 27, 2015, when the team met with Premier of Nevis and Minister of Education Hon. Vance Amory, at his Nevis Island Administration (NIA) office at Bath Plain. The team was made up of, Technical Vocational Educational Training (TVET) and Quality Assurance Orlando Hewitt and TVET, Training Consultant Karen Gayle and team leader Consultant Dr. Lucy Steward. Dr. Steward explained that the Framework was developed at the request of the government of St. Kitts and Nevis and funded by the EU. With the system, all of the qualifications and programmes available in St. Kitts and Nevis will be arranged in levels with examples of the qualifications and its required competencies at each level. According to Dr. Steward, a five-year implementation plan for the Framework has been developed and started through promotions, which is a key aspect of the implementation process. The objective of the National Qualifications Framework, is to provide a process for the Ministry of Education to be able to identify the competencies in the Qualifications Framework that can be used to assess specific practical skills. It would enable individuals with these skills who have not been certified, to become qualified at that level. Designers of the Framework, took some measures in its development to ensure quality and currency by modelling other regional and international Frameworks. The National Qualifications Framework would be used to determine equivalency of qualification of those who have been certified by international educational bodies. In addition, travelling nationals with these competencies would be recognized on an international level. It will also provide the opportunity for a cost effective and efficient education system. Mr. Amory, in support of the National Qualifications Framework, stated that the system caters to the practical training needs of students and adults in the development of their career choices. He said the government of St. Kitts and Nevis is providing an opportunity through the implementation of the Qualifications Framework, for citizens to obtain the necessary theoretical underpinnings of their practical skills that would enable them to produce quality work. Also present at the conference were former Chairperson for St. Kitts and Nevis TVET Clyde Christopher and TVET Coordinator on Nevis Orette Smith.